California’s struggling Chinook salmon number could result in the iconic fish being named to the endangered species list in the Upper Klamath/Trinity River basin. Today, the National Oceanic Atmospheric Adminstration announced further research on the petition that was drawn up by the Karuk Tribe and the Salmon River Restoration Council. Over the next year NOAA Fisheries will weigh whether Chinook salmon in the Upper Klamath and Trinity Rivers in Northern California need federal protection under the Endangered Species Act (ESA), as sought in a petition from the Karuk Tribe and Salmon River Restoration Council. 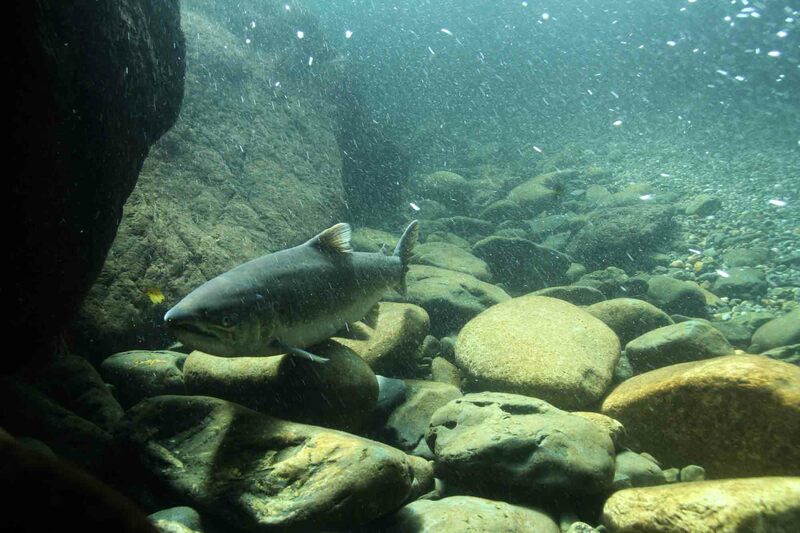 In November, the two organizations petitioned NOAA Fisheries to list Chinook salmon in these two rivers as either threatened or endangered, which would provide the fish with extra protections under Federal law. Today NOAA Fisheries found that the petition provided enough information to determine that listing of these two species under the ESA may be warranted. This does not mean the species will be listed, only that there is enough information to warrant further review. Nationwide, approximately 2,300 species are listed under the ESA. NOAA Fisheries has jurisdiction over 159 of these species that spend at least part of their lives in the ocean. The rest of the species fall under the purview of the U.S. Fish and Wildlife Service. The ESA listing process often begins with a petition to either NOAA Fisheries or the U.S. Fish and Wildlife Service. Any person or group may submit a petition. The agency then evaluates the request to determine if it includes substantial information suggesting that a listing may be warranted. If the agency determines that the information is enough to warrant further review, it begins a review of the overall status of the population. NOAA Fisheries now has one year from the date of the petition to conduct a status review for the fish and determine whether Upper Klamath and Trinity River Chinook salmon should be listed as threatened or endangered. The status review evaluation will include an analysis of the best available scientific and commercial information about the population’s abundance, productivity, distribution, life history, and threats. NOAA Fisheries is requesting the public’s help in gathering this information, as well as information on other possible factors that will help inform the agency’s listing determination. After reviewing the information collected, NOAA Fisheries will determine whether Upper Klamath-Trinity River Chinook salmon will be listed no later than November of 2018. 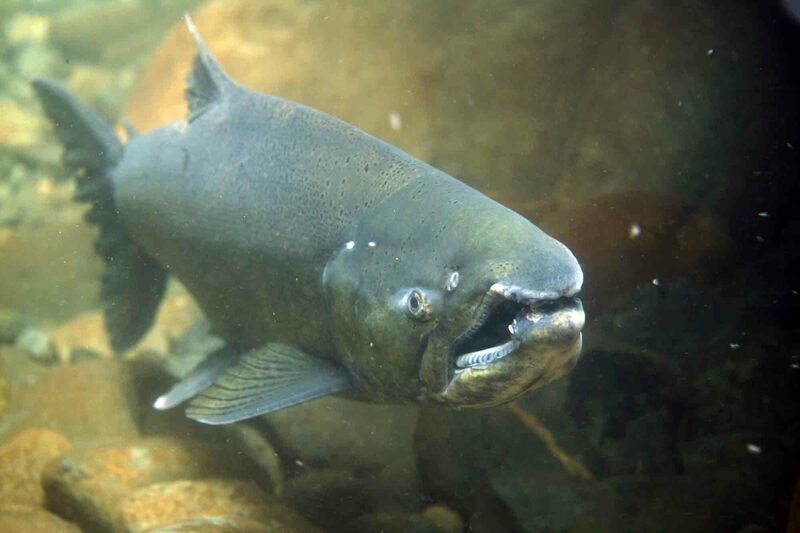 We, NMFS, announce a 90-day finding on a petition to list as threatened or endangered the Upper Klamath-Trinity Rivers (UKTR) Chinook salmon Evolutionarily Significant Unit (ESU) (Oncorhynchus tshawytscha) or, alternatively, create a new ESU to describe Klamath Spring Chinook salmon and list the new ESU as threatened or endangered under the Endangered Species Act (ESA). The petition also requests that we designate critical habitat concurrently with the listing. We find that the petition presents substantial scientific information indicating the petitioned actions may be warranted. We will conduct a status review of the Chinook salmon in the UKTR Basin to determine if the petitioned actions are warranted. To ensure that the status review is comprehensive, we are soliciting scientific and commercial information pertaining to this species from any interested party. Scientific and commercial information pertinent to the petitioned action must be received by April 30, 2018. Federal eRulemaking Portal: Go to www.regulations.gov/?#!docketDetail;?D=?NOAA-NMFS-2018-0002, click the “Comment Now” icon, complete the required fields, and enter or attach your comments. Mail or hand-delivery: Protected Resources Division, West Coast Region, NMFS, 1201 NE Lloyd Blvd., Suite #1100, Portland, OR 97232. Attn: Gary Rule. Instructions: Comments sent by any other method, to any other address or individual, or received after the end of the comment period, may not be considered by NMFS. All comments received are a part of the public record and will generally be posted for public viewing on http://www.regulations.govwithout change. All personal identifying information (e.g., name, address, etc. ), confidential business information, or otherwise sensitive information submitted voluntarily by the sender will be publicly accessible. We will accept anonymous comments (enter “N/A” in the required fields if you wish to remain anonymous). Electronic copies of the petition and other materials are available on the NMFS West Coast Region website at www.westcoast.fisheries.noaa.gov. Please direct other inquiries to Gary Rule, NMFS West Coast Region at gary.rule@noaa.gov,(503) 230-5424; or Maggie Miller, NMFS Office of Protected Resources at margaret.h.miller@noaa.gov, (301) 427-8457. On November 2, 2017, the Secretary of Commerce received a petition from the Karuk Tribe and Salmon River Restoration Council (hereafter, the Petitioners) to list as threatened or endangered the UKTR Chinook salmon ESU or, alternatively, create and list a new ESU to describe Klamath Spring Chinook salmon. In their petition, the Petitioners used various phrases as well as “Klamath Spring Chinook” to describe the area in which they are requesting that we create a new ESU for spring-run Chinook salmon. Because their request is generally made in reference to the spring-run Chinook salmon component of the UKTR ESU of Chinook salmon, we will use the description of the currently defined ESU to describe the area in which the Petitioners are requesting that we create a new spring-run Chinook salmon ESU. We will hereinafter refer to that area as the UKTR Basin. We described all Klamath River Basin populations of Chinook salmon from the Trinity River and Klamath River upstream from the confluence of the Trinity River as the UKTR ESU, which includes both spring-run and fall-run fish (63 FR 11482; March 9, 1998). The Petitioners also request designation of critical habitat concurrently with the listing. Copies of the petition are available as described above (see FOR FURTHER INFORMATION CONTACT).